I haven't seen this in person yet -- I'm hoping that the receipt is embossed. UPDATE: it is, slightly. The text underneath definitely seems to have a treatment to ressemble a wedding invitation, so why not go all the way. If you're going to do something, DO it. On the other hand, the vast majority of the text is quite hidden, and so I don't find myself noting too much repetition. So it doesn't actually bother me. I very much like thios piece! Personally, I quite dislike the idea of embossing the "receipt". Faking it just comes off as faking it. it isn't real, and I don't think it needs to be passed off as real. It's what it is. Great concept. I think the invitation layer is suggested well enough through type and the obscured "request.........ny of" line. It's just enough of a hint. I saw this last night at B&N for the first time. It was strange, I kept trying to get lift the receipt to look under it. Very strange feeling. My brain would not accept that it was the same surface. Perhaps in a way the repetition makes the title stronger, as it identifies the true nature of the subject. I check this blog regularly, thanks Joseph! This cover is superb if it is about spending money on a big ol' wedding. Very thoughtful idea. Bringing together two very graphic elements of the experience and blending them together to form a cohesive piece. At the least clever. The tendency is to pick the receipt up. But you can't, realizing quickly that this wonderful day and it's cost are inseparable and perhaps pose the initial problem of every serious relationship—unless you are rich—and even then. A very good find. Ooh, I love your site! My pal Eileen Cook posted about it so I had to come over and check it out. I'm a big believer on book/cover going hand-in-hand. Phew... this is so solid. I can't wait to see this in person and see if it's just as good, ...or better. WOW. We have the title looking like a typical invitation on the bottom, soft and elegant and timeless the way we want to think of weddings. 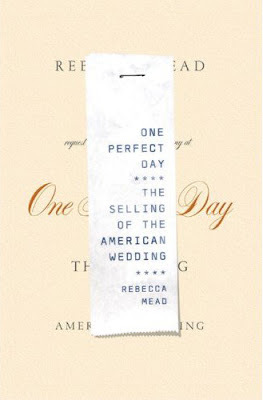 And completely overriding that is the same exact text in receipt form implying that we've already bought into the charlatan notion of a wedding day. It contrasts, typographically, what we want and intend, with what we're actually getting. I suspect that's what this book (that i havent read) is about. It's brilliant. I love the bold assertion made by the cover: that we've already fallen for the trick. It feels like a challenge to pick up the book and defend yourself. Too good. And who doesn't love tromp l'oeil?